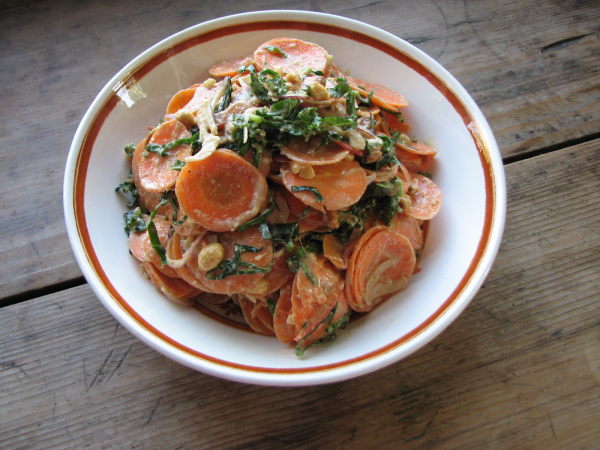 I have four words for you, “I love fava beans.” A few weeks ago I was over at a friend’s house, and we were chatting and snacking on young fava beans right off her plant. They were green tasting with a hint of nutty bitterness, and surprisingly yummy. 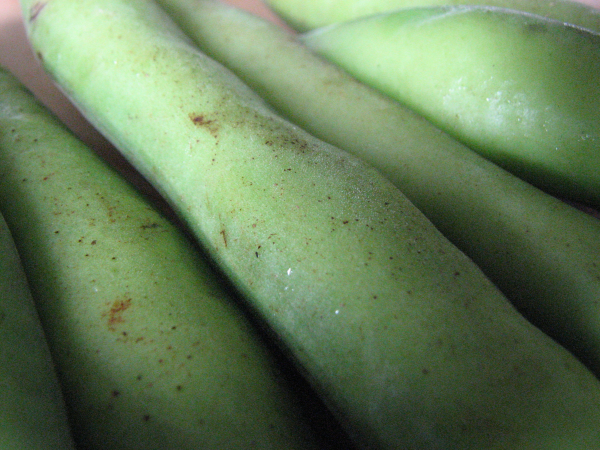 Fava beans are in season right now, and our awesome CSA, Oakhill Organics, has them for us every week. We saved up two weeks of beans and opted to prepare them today, that way we can leisurely decide what to do with them over the next few days. 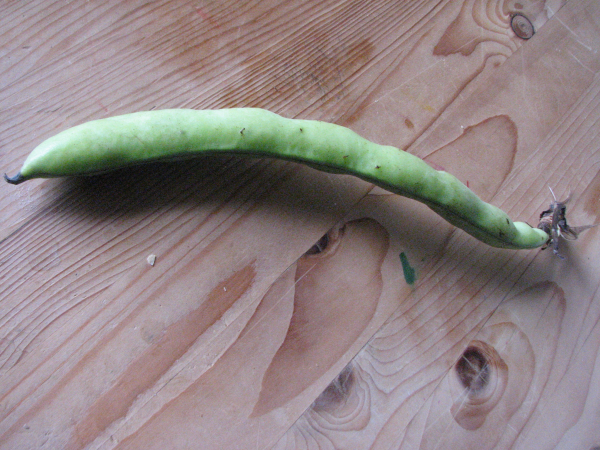 For those of you who have never processed a fava bean, here is a tutorial to show you how easy it is. Use large pot. Boil 8-12 cups water. Add salt. 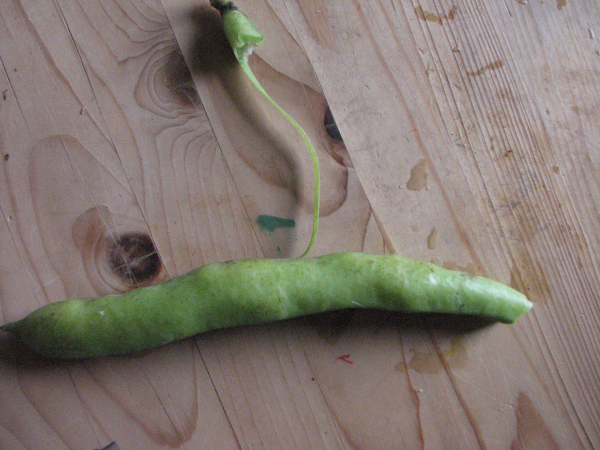 Pull string off fava bean, splitting pod down the middle, and expose beans. 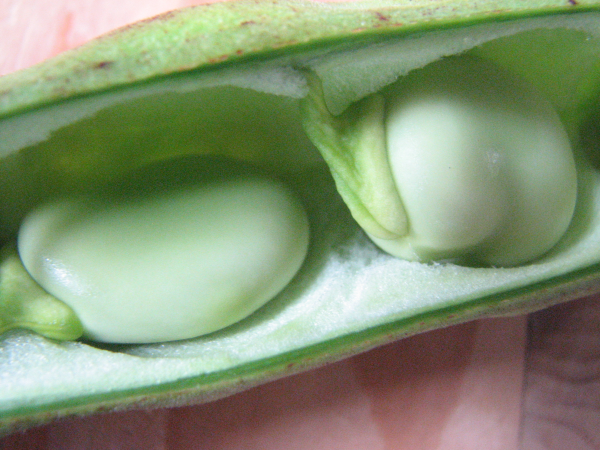 Remove beans from pod, and place in clean bowl. Add beans to pot of boiling water. Boil for 5 minutes. 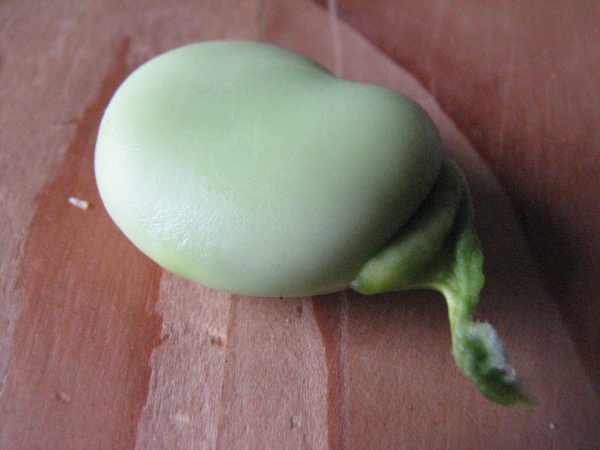 Strain fava beans and rinse with cool water. 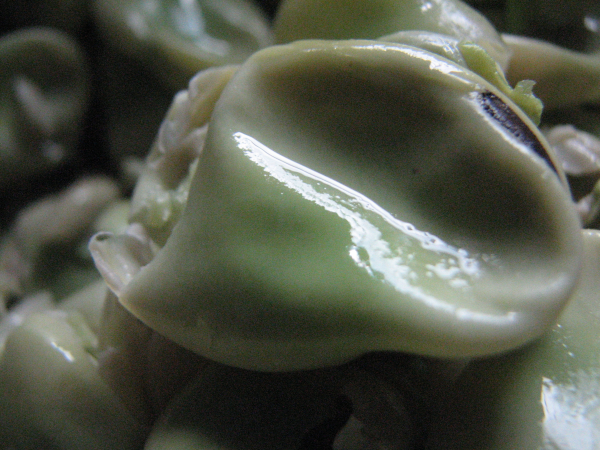 Peel outer bitter skin off of fava beans. 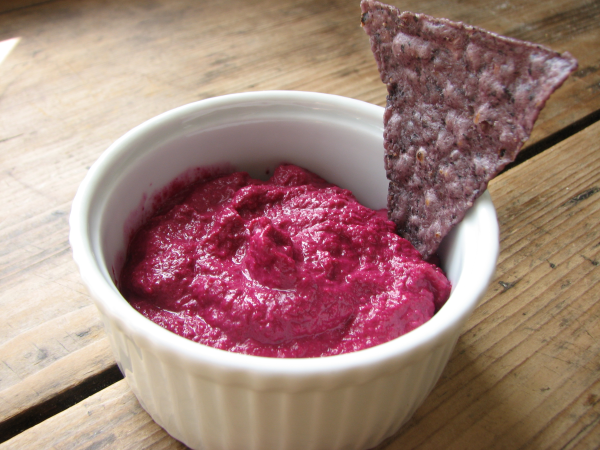 You can now make a garlicky puree to spread on some rustic bread, or some homemade crackers, or use the dip on a crudite platter alongside your favorite crunchy veggies. Fava beans are phenomenal added to a garlic and extra virgin olive oil dressed pasta or saute them with your favorite dark leafy greens. I love to just snack on them right out of the bowl. 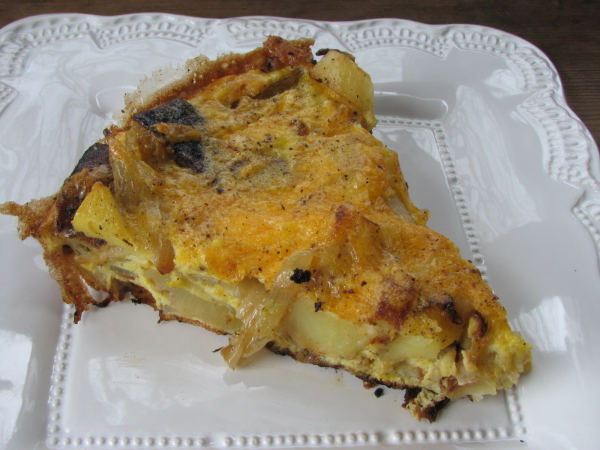 Fava beans are a very versatile, delicious ingredient. 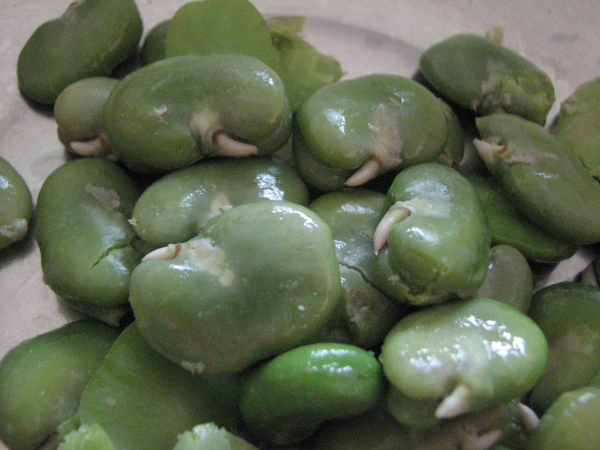 It is true, fava beans are a little work to prepare, but in my opinion they are so worth it. Oh, I forgot to tell you, If you don’t have the time to process them, you can just toss the very fresh whole pod in a little olive oil, sprinkle with kosher salt and fresh ground pepper and place them on the grill. 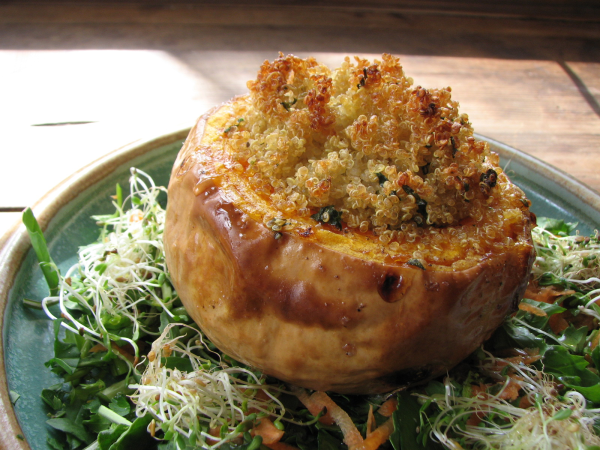 Cook them for a 4-7 minutes on each side. they are quite tasty this way. Give them a try, and let me know what you think.